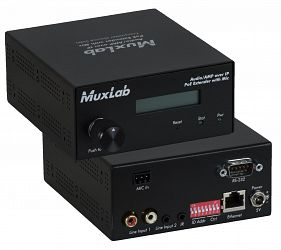 Muxlab 500755-AMP-TX är en sändare för att skicka 2 kanals ljud och / eller en mic över ett nätverk. 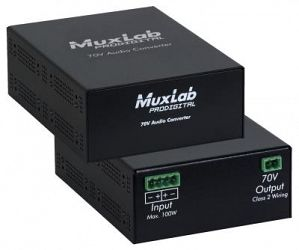 The Audio / AMP over IP Extender Kit, with Mic & AMP 50W/CH consists of a Transmitter (500755-AMP-TX) and a Receiver (500755-AMP-RX), sold as a Kit or separately, allowing a one of two 2CH analog audio-in and Mic-in signals to be extended over an IP network, and up to 330ft (100m) from an Ethernet Switch via Cat5e/6 cable in a point-to-point configuration. 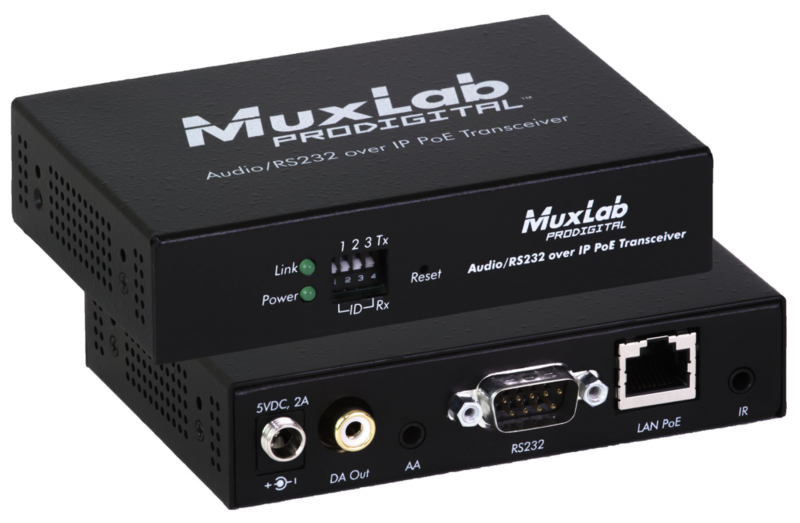 Point-to-multipoint and multipoint-to-multipoint is supported by connecting several Transmitters and Receivers to the same local Ethernet network. 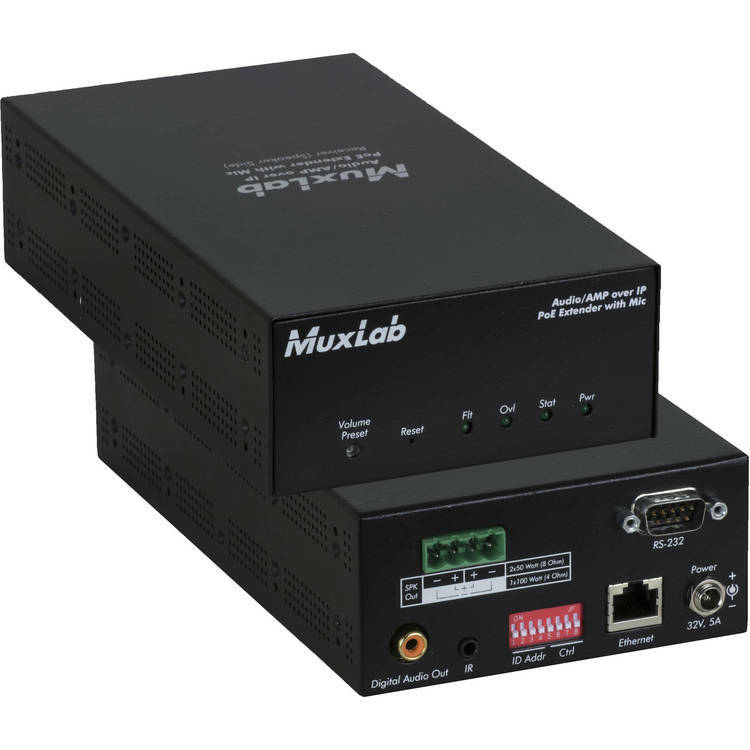 Depending on the application one or more Transmitters (500755-AMP-TX) can communicate with (or multicast to) multiple Receivers (500755-AMP-RX).The Transmitter supports PoE (PD) if used with a PoE (PSE) Ethernet Switch. Supports bidirectional RS232 and directional IR transmission initiated via an IP network or via pass-through for remote control of end devices.